More and more people are realizing the importance of milkweed to the Monarch Butterfly and looking for sources of plants and seeds. Buying large transplants at a local nursery is the easiest way, but can get expensive, over $7 a plant. At Monarch Watch you can order a minimum of 4 flats of 50 plugs, small rooted seedlings, for any restoration project free of charge, if you pay shipping of between $40 to $60. Monsanto is providing the funding for this initiative. Monsanto is pulling out all the stops to improve their public image and is partnering with non-profits like Monarch Watch and providing funding for programs that are committed to help the Monarch. I am restoring a field around my beehives and have ordered some of these flats. For my area of Maryland, the native plants that will be shipped is Asclepias syriaca or Common Milkweed. Go to Got Milk….Weed? to check out the importance of this plant to the Monarch as well as a whole array of other creatures. Creating a Monarch Way Station, which are plantings specific to Monarchs, is a great way to help the Monarch. Providing shelter and food for Monarchs on their long migration journey, Monarch Way Stations are popping up everywhere and Milkweed is the only food source that the caterpillars will eat to produce those beautiful butterflies. Helping Monarchs in this way helps many other species of insects and animals providing them with pollen and food sources. Reading that the Tropical Milkweed was easy to start from seed and was a favorite of the caterpillars, I decided to start them inside this year. Stratification, which is soaking and chilling the seeds for at least 6 weeks, was recommended for most other varieties, so I instead chose growing the Tropical variety and sowed the seeds in peat pots last week. Readily available from Joyful Butterfly for $2.95 for 100 seeds, the seedlings quickly emerged and I put them under grow lights. I’m ashamed to admit that I dig up a large milkweed plant…7′ tall at least, as it was overtaking my blackberry patch. I have several wild butterfly weed plants. Does the monarch get the same benefits from them? Yes, any milkweed is beneficial. So, don’t feel bad! Thanks, I am growing plenty and am planning on bringing you some.Have had a great winter! Loved your pictures. Can’t wait for spring…come on warm weather. We have a swamp area in between where we keep our bee apiary and a flowing small river. There is loads of milkweed there and a large variety of other wildflowers. We are keeping our fingers crossed that our little ladies have weathered the cold without too much harm and the queens will be producing in great form this year! Thanks for this informative blog! Thanks for reading and keep up the swamp! Valley View Farms has milkweed seed in stock. That is good to hear. I will add that to my post. Thanks! Butterfly experts are advising against planting tropical milkweed, Asclepias curassavica. They don’t go dormant like native milkweeds, so the butterflies tend to stick around rather than migrate, which is detrimental. 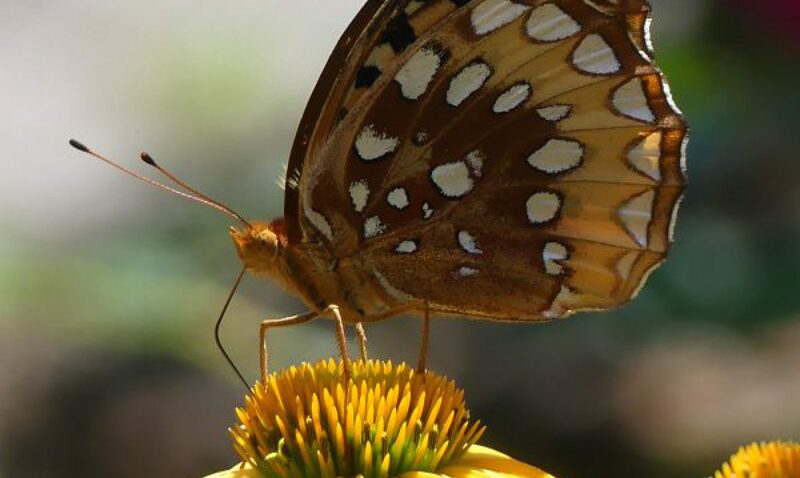 In addition, tropical milkweeds can be infected with a protozoan, Ophryocystis elektroscirrha, or OE, which causes wing and other deformities in the butterflies. (See http://entomologytoday.org/2015/01/16/planting-the-wrong-kind-of-milkweed-may-harm-monarch-butterflies/) Dr, Jaret Daniels, of the University of Florida, advises that if you can’t bring yourself to pull out and destroy your tropical milkweeds, at least break off the stems in the fall so your monarchs will move on as they should. This past fall, I had so many caterpillars I dragged my feet on destroying my tropical milkweed. I noticed the baby butterflies devoured the native milkweed plants but hardly touched the tropicals. They were smarter than I was! Yes, I am aware of this controversy. I read this article at http://nababutterfly.com/wordpress/wp-content/uploads/2015/04/Tropical-Milkweed.pdf. Since gardeners don’t have easy access to native milkweed plants at this time, I think the tropical which is easy to start from seed is an option, especially for me in MD where it dies when the weather gets cold. I have ordered my native species also, and have other varieties already growing, like Ascelpias tubersoa, so the tropical is complementing my other species. I am all for planting natives, but don’t like to rule out non-natives which fill a butterfly need, especially when it is so hard to find native milkweed for most gardeners. I hate demonizing non-natives and think it discourages people from getting involved at all. Thanks for pointing this out! Claire, I enjoyed this post and look forward to seeing photos later this year of your restoration project. Weed management in agriculture is a factor in the decline of milkweed habitat. As a home gardener and Monsanto employee, I’m glad that the company is looking for solutions to improve and protect monarch habitat. As my small home garden grows from a hobby to a passion, I’m trying to do my part by planting more native plants that are sources of nectar and pollen. There’s also been some optimistic news regarding the Monarch, as reported by a recent New York Times article http://www.nytimes.com/2016/02/28/world/americas/monarch-butterfly-migration-rebounds-easing-some-fears.html?_r=0.